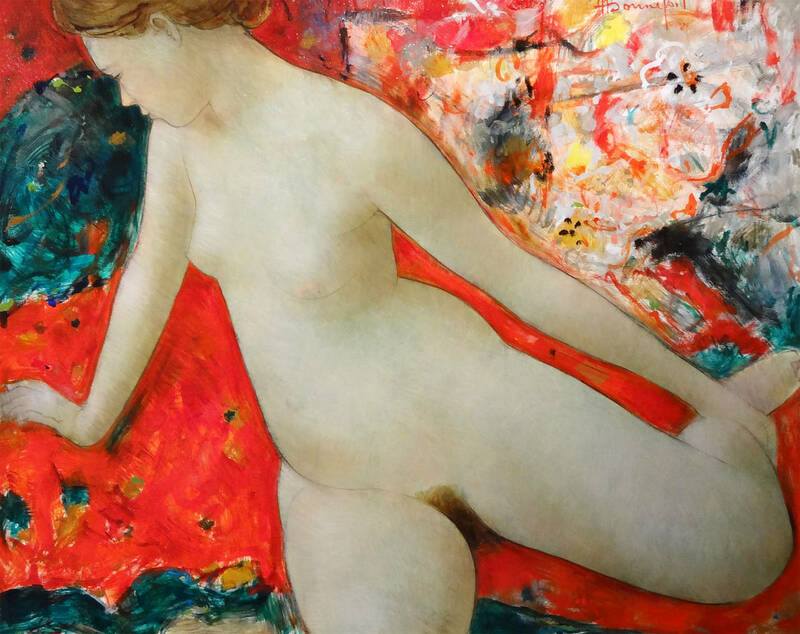 French artist, Alain Bonnefoit is known as Europe's most renowned painter of nudes. 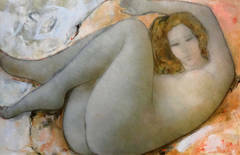 This painting illustrates beautifully balanced volume. The fiery colors illuminate the body. 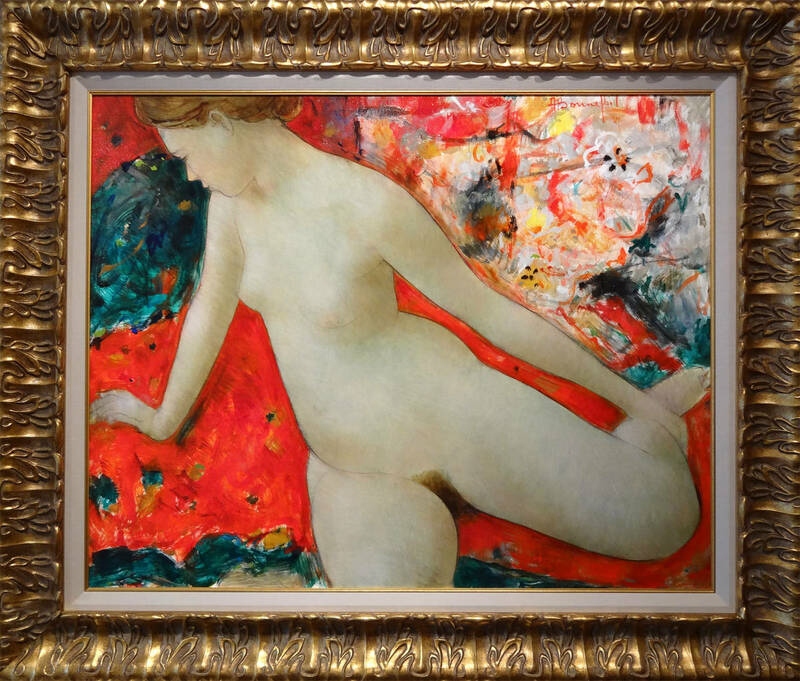 He wonderfully complements the colorful abstract design of the background with the smooth body of the woman. Truly a statement piece. Alain Bonnefoit studied under the sculptor, Volti, in addition to studying art in Paris and Brussels. 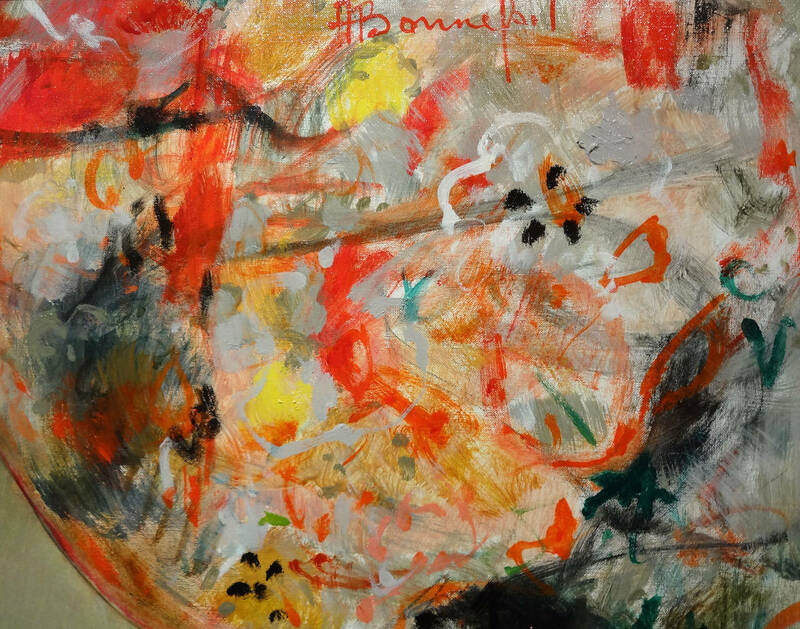 He is one of the most respected and most highly awarded artists in France and in the world. 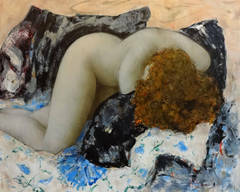 The writer, Herve Bazin, has referred to Bonnefoit as the “Painter of Venus.” Alain Bonnefoit’s works are very much in demand because of his International Status as an artist. His genius and success has earned him the respect of collectors worldwide. Gerahmte Größe - 38 x 45.5 in.